During my recent visit to Pigeon Forge, Tennesee to perform at the Winter Carnival of Magic, I had a rare treat! 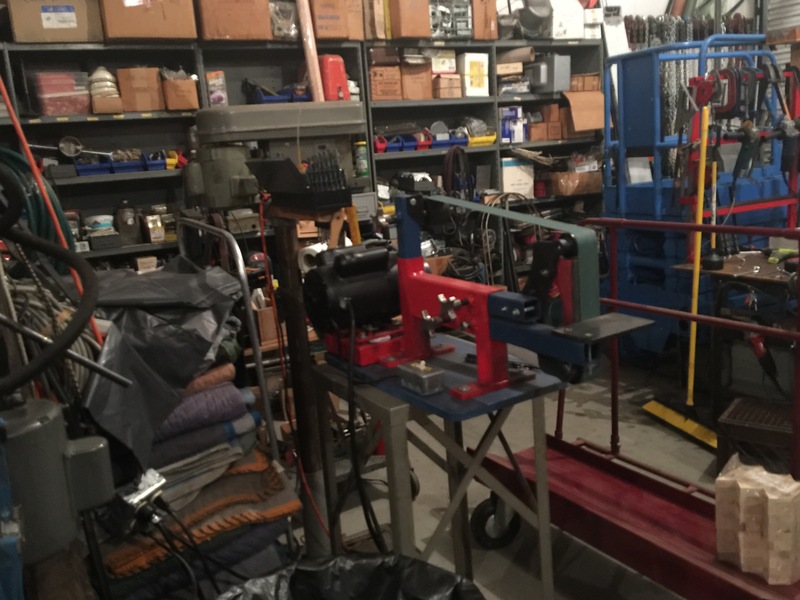 A private party was thrown by “collector extraordinaire” and mechanical wiz Steve Gronowski, and he allowed us to explore the incredible collection of mechanical wonders that he has built/repaired and assembled over the years. It was an evening that I will long remember. 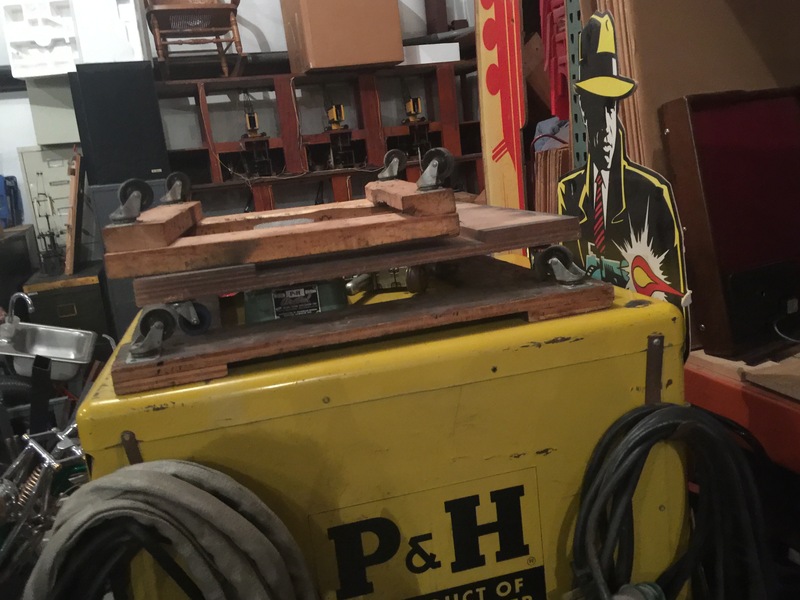 Back in the ’70s, Steve was an underemployed electrician in Chicago, with a passion for collecting and restoring some awe-inspiring mechanical devices. 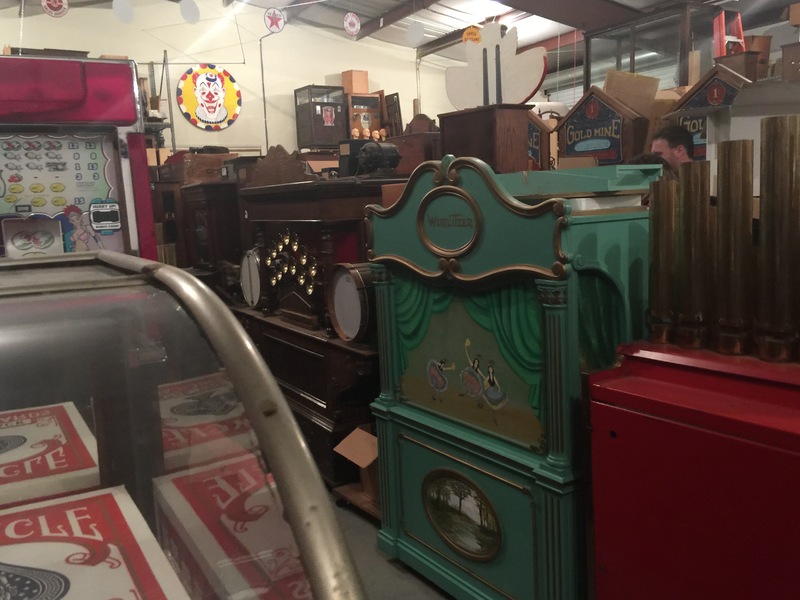 Steve hit upon a powerful formula that turned his private collection into a gold mine, he realized that if he restored and sold an antique curio, then he could buy and restore three new items. forty odd years later he has what must be the finest collection of these fascinating devices. 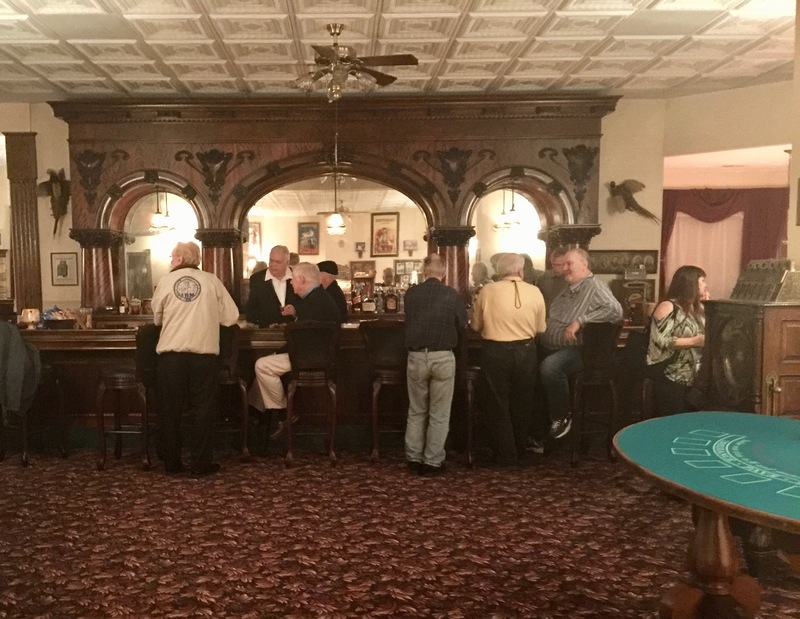 The basement “man cave” that houses Steve’s collection is bigger in size than most homes and features a 60-foot bar that nestles in one section of his fascinating creation. 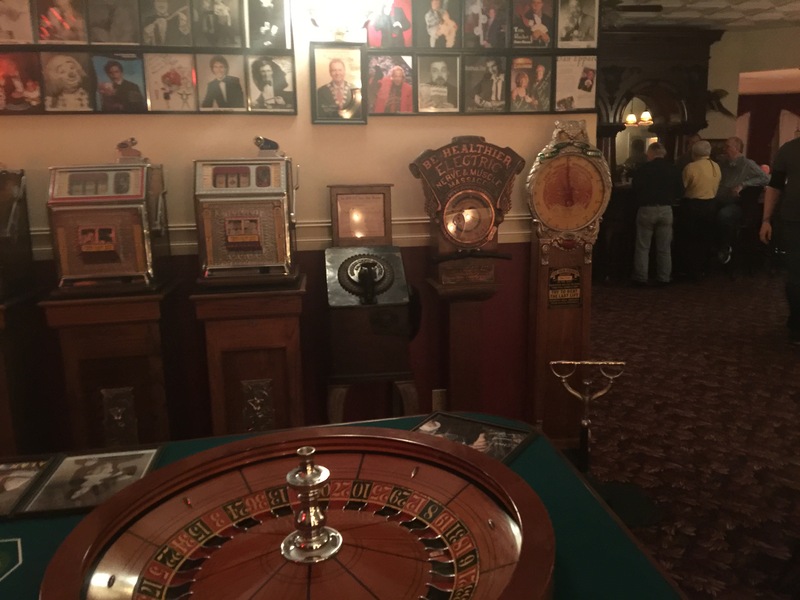 Scattered around the area is a collection of antique devices including a Wurlitzer jukebox, slot machines, and many antique “penny devices” that one only gets to see in movies or photographs. Rather than try and describe the contents, I would suggest you take a look at some of the photographs below. In the unlikely event of becoming bored with this wonderful collection, a selection of gaming tables and a splendid pool table await your participation. 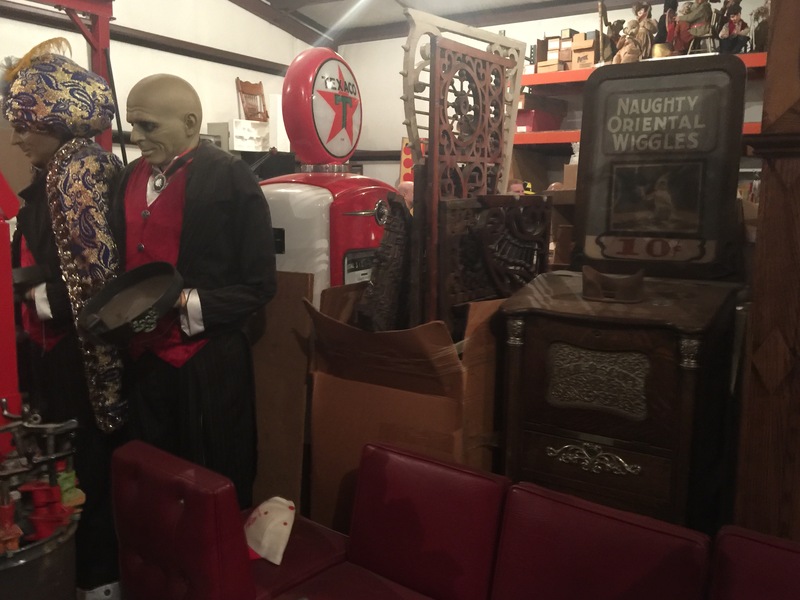 It would have taken a week to have done any justice to exploring his one of a kind collection, but the gracious host that he is Steve has a further delight in store for his guests. Attached to his house are the giant complex and Alladin’s cave of the workshops, warehouses, and storerooms where Gronowski houses and works on his latest projects. 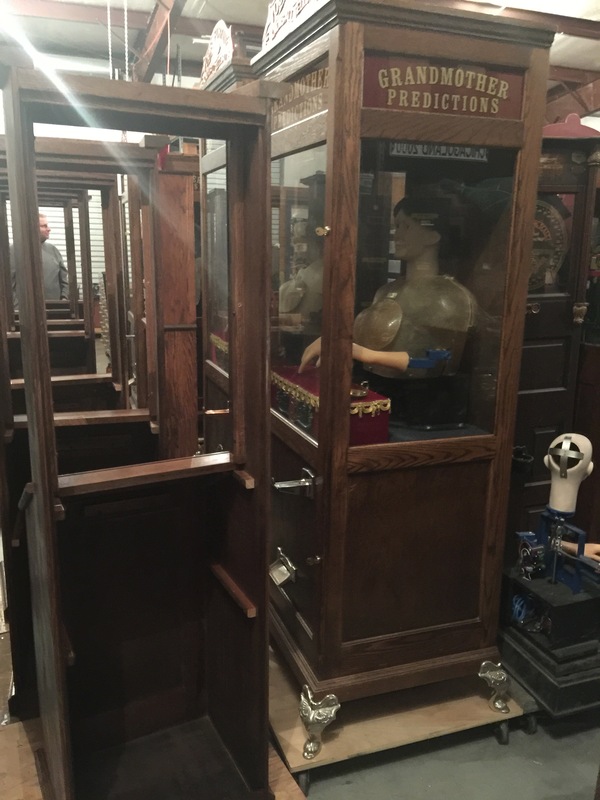 I am quite a fan of those glorious Zelda the Fortune Teller machines, it was fascinating to catch a glimpse of her various working at different stages of reconstruction. 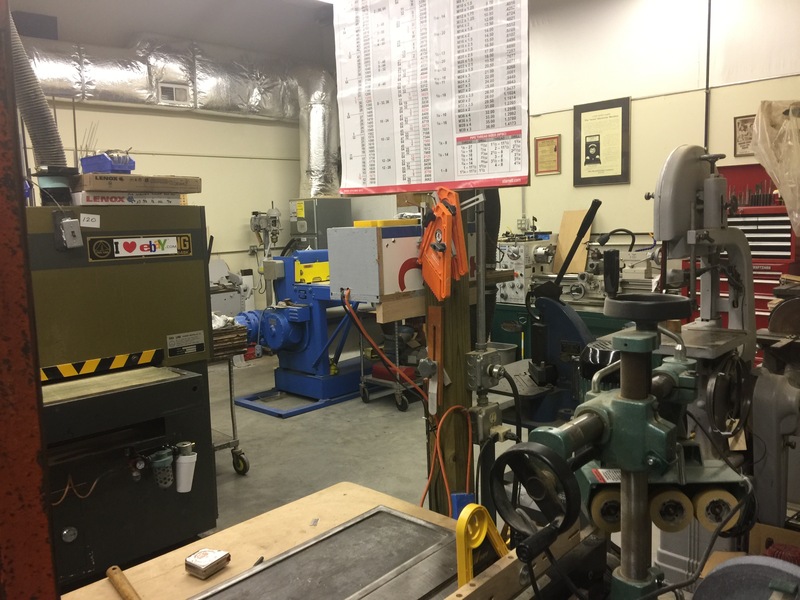 In some ways, just as astounding as the various devices was the meticulously assembled collection of tools and equipment used in their renovation. 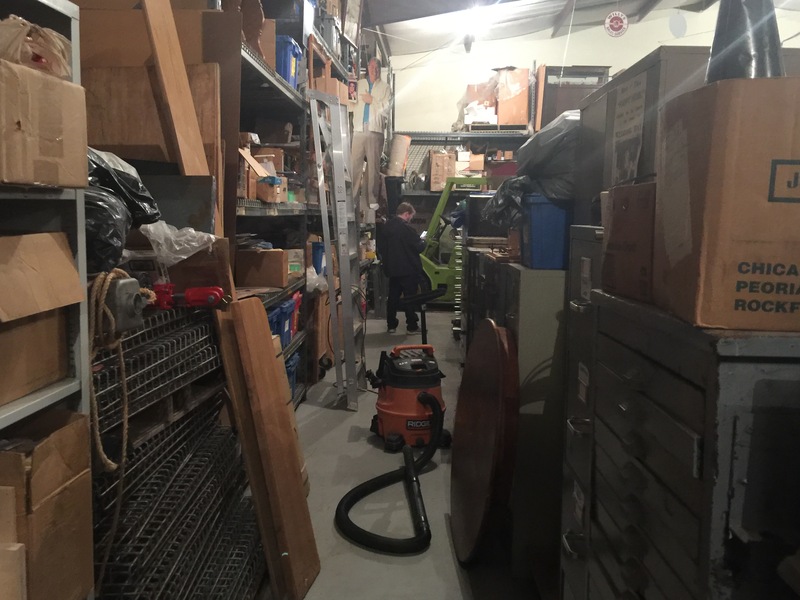 I am the kind of guy who can scarcely use a hammer, however, the combined collection of tools and equipment left me speechless. I had a wonderful time exploring this amazing collection and wanted to share some of my pictures of the evening. 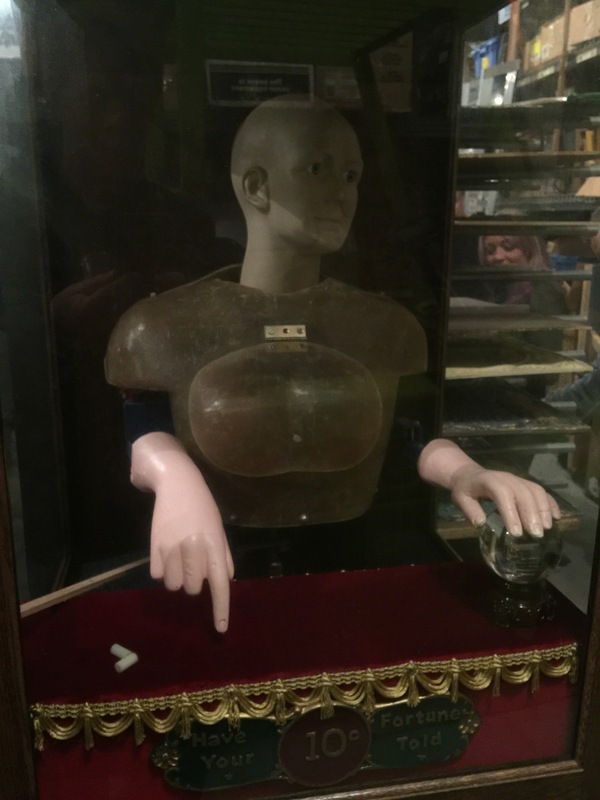 If you want to see examples of Steve’s handicraft you can visit David Copperfield’s New York home where David has a fine display of these collectibles. Tokyo’s Disneyland is also home to a large amount of Steve’s amazing antique works of art. I want to thank Mr. Gronowski for allowing me this eye-opening glimpse of a world I scarcely knew existed. ~ by Nick Lewin on March 23, 2019.